VISESA is currently carrying out promotional tours for the neighbours of Coronación District in order to demonstrate the different interventions that are also planned for Coronación District within the framework of SmartEnCity Project. 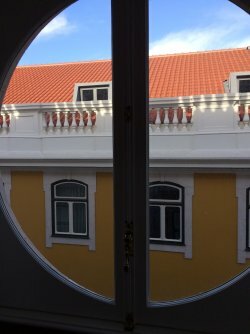 On 12 April 2018, SmartEnCity and the representatives of the other eleven Horizon 2020 SCC1 smart city projects (such as Triangulum, mySmartLife, IRIS, Stardust, ...) met in Lisbon during the Portugal Smart City Summit to sign a manifesto of cooperation. The manifesto is an agreement between cities to significantly change the smart city market place. The signing took place during a day full of workshops where the 76 cities from all over Europe discussed their progress in enhancing energy efficiency and collaborating with the private sector to create models for doing business that will perpetuate and multiply the effects of the EU’s investment. 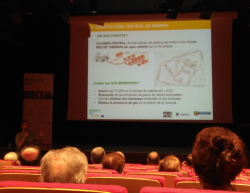 Vitoria-Gasteiz is still busy with getting people involved in the SmartEnCity project activities. Past Saturday, April 21st, VISESA carried out one of the last information events within the adhesion period whose deadline is coming to an end May 31st. "What does SmartEnCity stand for? ", "What is happening within our neighbourhood?" and "What does this mean for us inhabitants?" 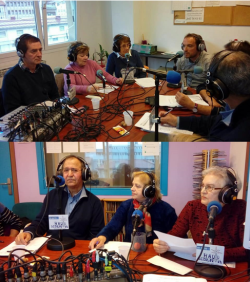 These and other questions were raised during a one-hour radio programme, produced by a group of senior citizens. VISESA’s architect Oskar Bell was invited by “La Mirilla” Radio Show from “Siberia FM” Radio Station to explain SmartEnCity project in detail. "Clean Buses in Europe" was taking place in the framework of the "Global Mass Transit" event last week from 18.-19. April 2018 in Amsterdam. Dealing with all kind of topics in connection with clean bus technology, it was an important conference in the field of smart urban transport. SmartEnCity was represented through a presentation given by Iben Nielsen, senior project manager for the Lighthouse City Sonderborg. Vision - strategy - realisation. SmartEnCity Lighthouse cities Vitoria Gasteiz (Spain) and Tartu (Estonia) have produced two brand new videos featuring their ways towards smart city transformation. Find out about common goals and different approaches by watching the Lighthouse City videos (including Sonderborg, Denmark) here on the SmartEnCity homepage under publications/videos. 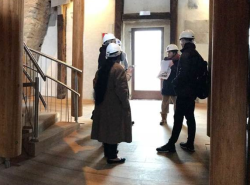 Last month, a Cuban delegation has visited Vitoria Gasteiz with the aim of gaining information about he SmartEnCity project deployment in Coronación District. 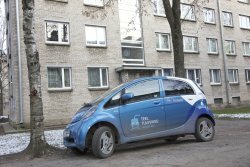 On 21 March, ELMO Rent and the city of Tartu opened a new electric car rental point next to the Tartu bus station. The goal of the rental point is to further improve access by local residents and visitors to the city to the sharing service for environmentally friendly electric vehicles. 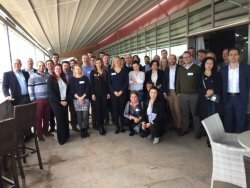 On March 13-15, the SmartEnCity project members gathered in Asenovgrad, Bulgaria for their General Assembly and the SmartEnCity Network Meeting. Project partners from all over Europe met to update each other on e.g. the progress of implementations in the three lighthouse cities Sonderborg, Tartu and Vitoria-Gasteiz.